FIND THE BEST DEALS IN YOUR AREA! Cox Contour TV for $64.99/mo for 12 months: *Note: Most promotional prices cannot be combined with promotional prices for other services. The regular rate for this service may apply if another promotional service is added to your cart. Offer expires 3/26/2018 and is available to new residential customers in Cox service areas. $64.99/month is only available for new subscriptions to Cox Advanced TV. Additional bundle options are available and may be required to receive all advertised features. 2-year service agreement required. Early termination fees may apply. Prices exclude installation/activation fees, equipment charges, inside wiring fees, additional outlets, taxes, surcharges (including $3.00 video Broadcast Surcharge) and other fees. Not all services and features available everywhere. A credit check and/or deposit may be required. Offer may not be combined with other offers, discounts or promotions. Online orders only. Other restrictions may apply. Internet Essential for $39.99/mo for 12 months: *Note: Most promotional prices cannot be combined with promotional prices for other services. The regular rate for this service may apply if another promotional service is added to your cart. Offer expires 3/26/2018 and is available to new residential Cox Internet customers in Cox service areas. $39.99/mo is only available for new subscriptions to Internet Essential service. Additional bundle options are available and may be required to receive all advertised features. 2-year service agreement required. Early termination fees may apply. Prices exclude installation/activation fees, equipment charges, inside wiring fees, additional outlets, taxes, surcharges (including $3.00 video Broadcast Surcharge) and other fees. Not all services and features available everywhere. A credit check and/or deposit may be required. Offer may not be combined with other offers, discounts or promotions. Online orders only. Other restrictions may apply. Internet Preferred for $54.99/mo for 12 months: *Note: Most promotional prices cannot be combined with promotional prices for other services. The regular rate for this service may apply if another promotional service is added to your cart. Offer expires 3/26/2018 and is available to new residential Cox Internet customers in Cox service areas. $54.99/mo is only available for new subscriptions to Internet Preferred or higher service. After promotion period, regular rates apply. Additional bundle options are available and may be required to receive all advertised features. 2-year service agreement required. Early termination fees may apply. Prices exclude installation/activation fees, equipment charges, inside wiring fees, additional outlets, taxes, surcharges (including $3.00 video Broadcast Surcharge) and other fees. Not all services and features available everywhere. A credit check and/or deposit may be required. Offer may not be combined with other offers, discounts or promotions. Online orders only. Other restrictions may apply. Internet Premier for $64.99/mo for 12 months: *Note: Most promotional prices cannot be combined with promotional prices for other services. The regular rate for this service may apply if another promotional service is added to your cart. Offer expires 3/26/2018 and is available to new residential Cox Internet customers in Cox service areas. $64.99/mo is only available for new subscriptions to Internet Preferred or higher service. After promotion period, regular rates apply. Additional bundle options are available and may be required to receive all advertised features. 2-year service agreement required. Early termination fees may apply. Prices exclude installation/activation fees, equipment charges, inside wiring fees, additional outlets, taxes, surcharges (including $3.00 video Broadcast Surcharge) and other fees. Not all services and features available everywhere. A credit check and/or deposit may be required. Offer may not be combined with other offers, discounts or promotions. Online orders only. Other restrictions may apply. Internet Ultimate for $84.99/mo for 12 months: *Note: Most promotional prices cannot be combined with promotional prices for other services. The regular rate for this service may apply if another promotional service is added to your cart. Offer expires 3/26/2018 and is available to new residential Cox Internet customers in Cox service areas. $84.99/mo is only available for new subscriptions to Internet Preferred or higher service. After promotion period, regular rates apply. Additional bundle options are available and may be required to receive all advertised features. 2-year service agreement required. Early termination fees may apply. Prices exclude installation/activation fees, equipment charges, inside wiring fees, additional outlets, taxes, surcharges (including $3.00 video Broadcast Surcharge) and other fees. Not all services and features available everywhere. A credit check and/or deposit may be required. Offer may not be combined with other offers, discounts or promotions. Online orders only. Other restrictions may apply. Internet Essential and Telephone Essential for $49.99/mo for 12 months: *Note: Most promotional prices cannot be combined with promotional prices for other services. The regular rate for this service may apply if another promotional service is added to your cart. Offer expires 3/26/2018 and is available to new residential Internet customers in Cox service areas. $9.99/month includes new subscription to Cox Telephone Essential and requires new subscription to Cox High Speed Internet Essential to complete the 2-service bundle. After promotion period, regular rates apply. Additional TV or Internet packages are available and may be required for access to all advertised features. Prices exclude installation/activation fees, equipment charges, inside wiring fees, additional outlets, taxes, surcharges and other fees. Not all services and features available everywhere. A credit check and/or deposit may be required. Offer not combinable with other offers. Calls to Mexico that terminate on a cell phone or other wireless device will incur a $0.10 per minute charge. Other restrictions may apply. Flex Watch TV and Internet Preferred for 12 months. Note: Most promotional prices cannot be combined with promotional prices for other services. The regular rate for this service may apply if another promotional service is added to your cart. Offer expires 3/26/2018 and is available to new residential customers in Cox service areas. Offer is only available for new subscriptions to Cox Flex Watch TV and Internet Preferred service. $69.99/month for 12 months includes Flex Watch TV with El Mix, Encore, HBO, and Starz and free standard receiver rental for first 12 months. Other equipment options (including a Cox-provided CableCARD together with a certified compatible Tru2Way CableCARD retail device) may be available and prices may vary. Flex Watch TV consists of Cox TV Starter with Contour TV features like On DEMAND, Music Choice, and interactive on-screen guide. Monthly rate increases $15.00/month for months 13-24. After promotion periods, regular rates apply. Prices exclude installation, additional equipment fees, additional outlets, taxes, surcharges and other fees. HBO® and related channels and service marks are the property of Home Box Office, Inc. Starz®, Encore® and related service marks are the property of Starz Entertainment, LLC. Not all services and features available everywhere. A credit check and/or deposit may be required. Offer not combinable with other product offers. Online orders only. Other restrictions may apply. 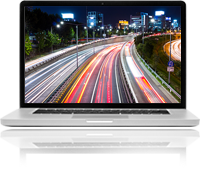 Contour TV and Internet Essential for 12 months: *Note: Most promotional prices cannot be combined with promotional prices for other services. The regular rate for this service may apply if another promotional service is added to your cart. Offer expires 3/26/2018 and is available to new residential Internet customers in Cox service areas. Requires new subscription to Cox High Speed Internet Essential and Cox Contour TV or higher to complete the 2-service bundle. Additional bundle options are available and may be required to receive all advertised features. 2-year service agreement required. Early termination fees may apply. Prices exclude installation/activation fees, equipment charges, inside wiring fees, additional outlets, taxes, surcharges (including $3.00 video Broadcast Surcharge) and other fees. Not all services and features available everywhere. A credit check and/or deposit may be required. Offer may not be combined with other offers, discounts or promotions. Online orders only. Other restrictions may apply. Contour TV and Internet Preferred for 12 months: *Note: Most promotional prices cannot be combined with promotional prices for other services. The regular rate for this service may apply if another promotional service is added to your cart. Offer expires 3/26/2018 and is available to new residential customers in Cox service areas. Offer is only available for new subscriptions to Cox Contour TV and Internet Preferred service. Bundle rate increases $20/month for months 13-24. Equipment fees extra. After promotion period, regular rates apply. Additional bundle options are available and may be required to receive all advertised features. 2-year service agreement required. Early termination fees may apply. Prices exclude installation/activation fees, equipment charges, inside wiring fees, additional outlets, taxes, surcharges (including $3.00 video Broadcast Surcharge) and other fees. Not all services and features available everywhere. A credit check and/or deposit may be required. Offer may not be combined with other offers, discounts or promotions. Online orders only. Other restrictions may apply. Cox Economy Bundle for $79.99/mo for 12 months with 2-year service agreement and Price Lock Guarantee: * Note: Most promotional prices cannot be combined with promotional prices for other services. The regular rate for this service may apply if another promotional service is added to your cart. Offer expires 3/26/2018 and is available to new residential customers in Cox service areas. $79.99/month for 12 months is only available for new subscriptions to Cox Economy TV, Internet Essential, and Phone Starter to complete the 3-service bundle. Offer includes one standard receiver for 12 months. Other equipment options (including a Cox-provided CableCARD together with a certified compatible Tru2Way CableCARD retail device) may be available and prices may vary. 2-year service agreement required. Early termination fees may apply. 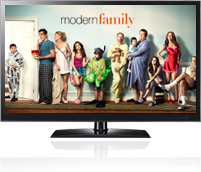 TV Economy consists of TV Starter service and select cable networks from Cox TV Essential. A Cox digital receiver is reflected in the advertised retail price. Other equipment options are available and prices may vary. Additional bundle options are available and may be required to receive all advertised features. 2-year service agreement required. Early termination fees may apply. Prices exclude installation/activation fees, equipment charges, inside wiring fees, additional outlets, taxes, surcharges (including $3.00 video Broadcast Surcharge) and other fees. Not all services and features available everywhere. A credit check and/or deposit may be required. Offer may not be combined with other offers, discounts or promotions. Online orders only. Other restrictions may apply. 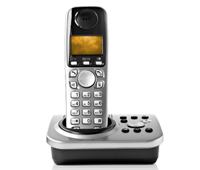 Cox Bronze Bundle for $89.99/mo for 12 months with 2-year service agreement and Price Lock Guarantee: * Note: Most promotional prices cannot be combined with promotional prices for other services. The regular rate for this service may apply if another promotional service is added to your cart. Offer expires 3/26/2018 and is available to new residential customers in Cox service areas. $89.99/month for 12 months is only available for new subscriptions to Cox Contour TV, Internet Preferred, and Phone Premier to complete the 3-service bundle. Bundle rate increases $30/month for months 13-24. 2-year service agreement required. Early termination fees may apply. Equipment fees extra. Free install limited to standard pro install on prewired outlets. HBO included at no additional charge. After promotional period, regular rates apply. Prices exclude installation/activation fees, equipment charges, inside wiring fees, additional outlets, taxes, surcharges and other fees. Not all services and features available everywhere. A credit check and/or deposit may be required. Offer may not be combined with other offers, discounts or promotions. Mail-in or online redemption required for Visa® Prepaid Card. HBO® and related channels and service marks are the property of Home Box Office, Inc. Online orders only. Other restrictions may apply. Cox Silver Bundle for $109.99/mo for 12 months with 2-year service agreement and Price Lock Guarantee: * Note: Most promotional prices cannot be combined with promotional prices for other services. The regular rate for this service may apply if another promotional service is added to your cart. Offer expires 3/26/2018 and is available to new residential customers in Cox service areas. $109.99/month for 12 months is only available for new subscriptions to Cox Contour TV, Internet Premier, and Phone Premier to complete the 3-service bundle. Bundle rate increases $30/month for months 13-24. 2-year service agreement required. Early termination fees may apply. Offer includes HBO, Cinemax, Showtime, and Starz premium channels. Equipment fees extra. After promotional period, regular rates apply. Free install limited to standard pro install on prewired outlets. Prices exclude additional installation/activation fees, equipment charges, inside wiring fees, additional outlets, taxes, surcharges and other fees. Not all services and features available everywhere. A credit check and/or deposit may be required. Offer may not be combined with other offers, discounts or promotions. Mail-in or online redemption required for Visa® Prepaid Card. HBO®, Cinemax® and related channels and service marks are the property of Home Box Office, Inc. STARZ and related channels and service marks are the property of Starz Entertainment, LLC. Visit starz.com for airdates/times. SHOWTIME and related marks are trademarks of Showtime Networks Inc., a CBS Company. Online orders only. Other restrictions may apply. Cox Gold Bundle for $129.99/mo for 12 months with 2-year service agreement and Price Lock Guarantee: * Note: Most promotional prices cannot be combined with promotional prices for other services. The regular rate for this service may apply if another promotional service is added to your cart. Offer expires 3/26/2018 and is available to new residential customers in Cox service areas. $129.99/month for 12 months is only available for new subscriptions to Cox Contour TV Premier, Internet Ultimate, and Phone Premier to complete the 3-service bundle. Bundle rate increases $40/month for months 25-36 and an additional $40/month for months 37-48. 2-year service agreement required. Early termination fees may apply. Offer includes HBO, Cinemax, Showtime, and Starz premium channels. Equipment fees extra. After promotional period, regular rates apply. Free install limited to standard pro install on prewired outlets. Prices exclude additional installation/activation fees, equipment charges, inside wiring fees, additional outlets, taxes, surcharges and other fees. Not all services and features available everywhere. A credit check and/or deposit may be required. Offer may not be combined with other offers, discounts or promotions. Mail-in or online redemption required for Visa® Prepaid Card. HBO®, Cinemax ®and related channels and service marks are the property of Home Box Office, Inc. STARZ and related channels and service marks are the property of Starz Entertainment, LLC. Visit starz.com for airdates/times. SHOWTIME and related marks are trademarks of Showtime Networks Inc., a CBS Company. Other restrictions may apply. †Prepaid card offer available to new residential customers subscribing to the Bronze Bundle by offer end date. To redeem, visit www.cox.com/reward by 11/30/16 with your new Cox account number and complete the online redemption form, or call 1-877-286-4804 to have a form mailed to you. Forms submitted by mail must be sent to the address indicated on the form and postmarked no later than 11/30/16. Post office boxes are not valid street addresses and are not accepted. Incomplete or illegible claims will not be processed. Limit one offer per household. Your prepaid card will be sent to the address submitted on your redemption form after your account has been active and in good standing for a minimum of 90 days. Please allow 4-6 weeks for delivery of your prepaid card after the 90-day validation period. For questions regarding the status of your prepaid card request, call 1-877-286-4804 or visit www.cox.com/reward. Card usage subject to issuer's Cardholder Agreement. Cox Visa Prepaid Cards are issued by MetaBank® Member FDIC, pursuant to a license from Visa U.S.A. Inc. Card does not have cash access and can be used at any merchants that accept Visa debit cards. Card valid through expiration date shown on front of card. Other restrictions may apply. © 2016 Cox Communications, Inc. All rights reserved.